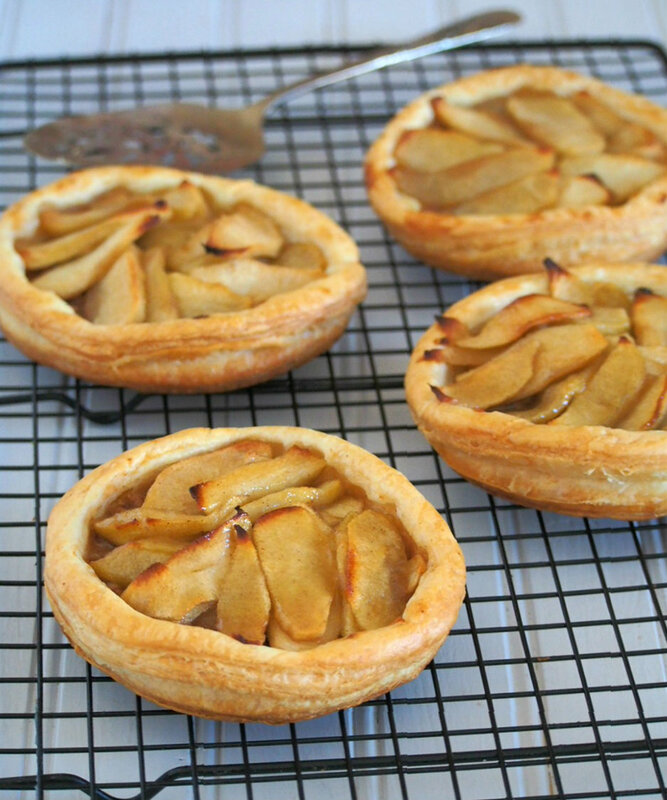 These Caramelized Apple Tarts are made of succulent and sweet apples that are nestled on a bed of chunky pecan paste. They are piled on a buttery puff pastry for a delightfully, tender crunch. This past summer has been a a worthwhile one for our little family as we went on countless camping trips and road travels. As the season comes to a close, we find ourselves filled with good memories of the sunshine shining over sparkly waters, of green sturdy trees, and hot, humid nights of roasting sausages and marshmallows. Yup, summer has been fun, and I believe most of us find it hard to see the summer season go. My way to be enthusiastic of the coldness and gloom that is setting in this Fall season is to think about the warm, comforting recipes that are associated with the coming of the fall and winter. Apples, and all the many things we can do with them is such an exciting way to welcome these coming weeks. 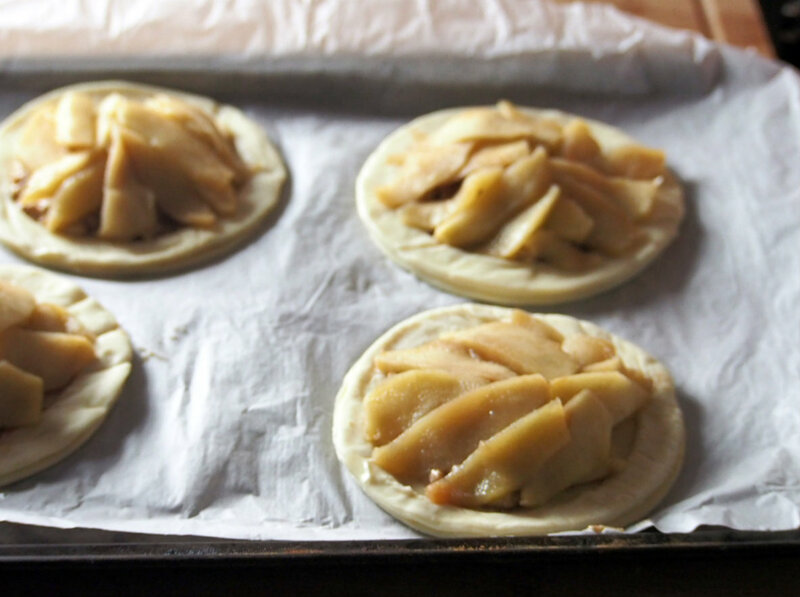 These caramelized apple tarts are a good way to start the baking this season , the one that fills the house with that signature warm, cinnamon-y smell. 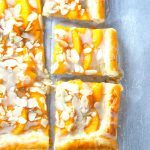 This recipe makes use of pre-rolled puff pastry. 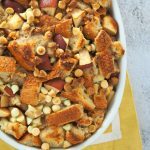 The sweet, tender crisp apples are arranged over a chunky pecan paste, and the crunch of the buttery puff pastry highlights the amazing flavors of fruits, nuts, butter and cinnamon. I used to be against buying pre-made puff pastries. I always used to want to play hero and make my own, but when my kids have started to grown active and agile, I resorted to buying ready-made ones and have never been ashamed (wink!). I find it therapeutic to cut the pre-rolled puff which is very nicely uniform in thickness, then watch them rise into numerous layers in the oven. I think I am starting to love easy baking like this, where one of the components of the dessert is already made, and you do less work but still end up with stunning pieces of elegant dessert. To enjoy more cinnamon flavors this Fall, try this Cinnamon Flan, too. You need to cut 8 circles from the rolled puff pastry. If you have a cookie cutter that is 4 and 1/2 inches in diameter, way to go. If you don’t have it, no worries. I used the lids of those pint yogurt containers. Brush the eight circles with beaten egg. Then arrange 4 of those circles on a baking sheet that is lined with parchment paper. Now, from the other 4 circles, cut 3 and 1/2 inner circles. Set aside the centers but take the outer rings, and center them on top of the other 4 whole circles on the baking sheet. 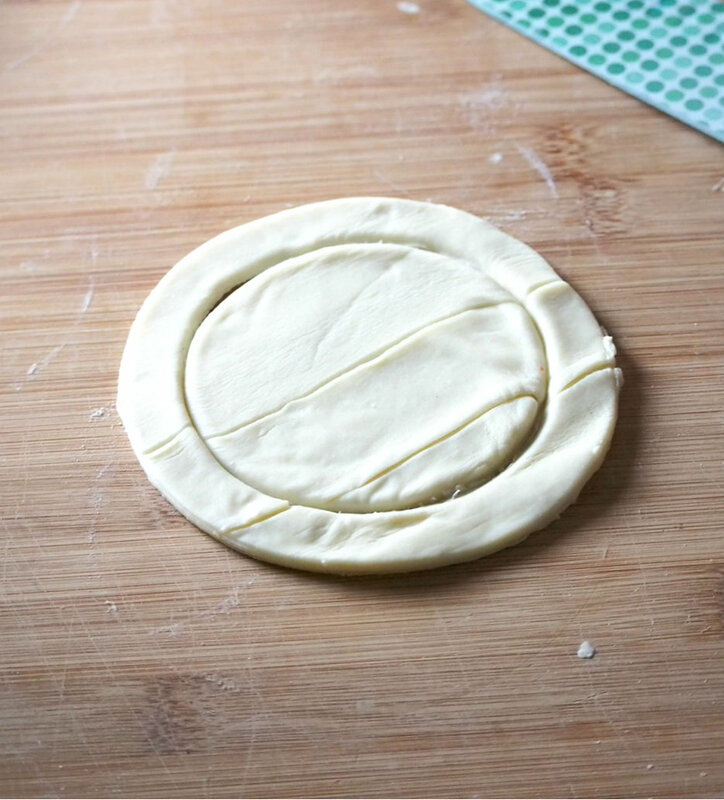 Now spread the chunky pecan paste in the center using the outer ring as a border. Arrange the apple slices on top and bake. Bite into the warm pastry and the sweet apples, that is what Fall season is for! I used granny smith apples . They remain firm enough yet tender after being cooked. 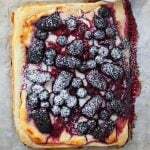 If you would like to make your own puff pastry, this recipe for rough puff is my favorite. 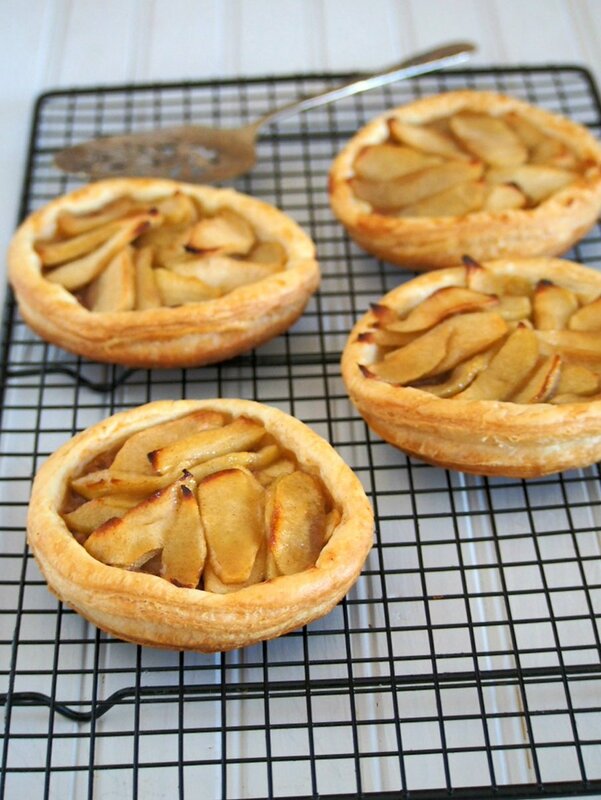 The tarts are best eaten the same day. 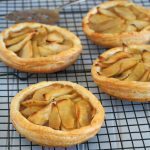 This Caramelized Apple Tarts are made of succulent and sweet apples that are nestled on a bed of chunky pecan paste. They are piled on a buttery puff pastry for a delightfully, tender crunch. Wash, peel and core the apples. Slice them thinly. 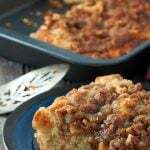 In a medium sauce pan, add butter, sugar and cinnamon and set on low heat until the sugar dissolves. Add the apple slices and cook until the apples are tender. Drain the apples but reserve the caramelized liquid. Set aside. In a food processor or blender, add the pecans, lemon juice and apple sauce and pulse until the mixture turns to a paste with some little pecan pieces. Preheat oven to 400 F. Line a baking sheet with parchment paper. 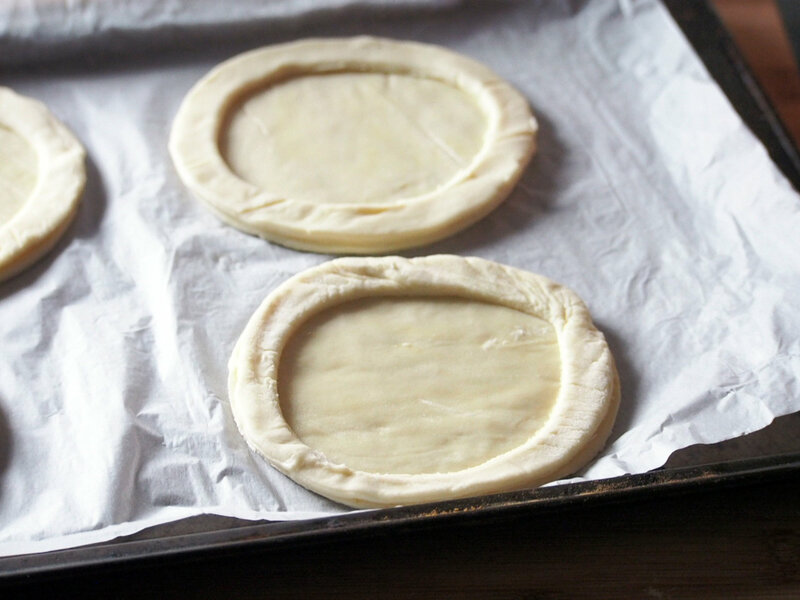 Cut circles from the rolled puff pastry that are 4 and 1/2 inches in size. Brush the surface with the beaten egg using a pastry brush. Arrange the 4 circles in the baking sheet. From the other 4 circles, cut smaller circles that are 3 and 1/2 inches in size. Leave the centers and take the outer rings and position them on top of the bigger 4 circles. 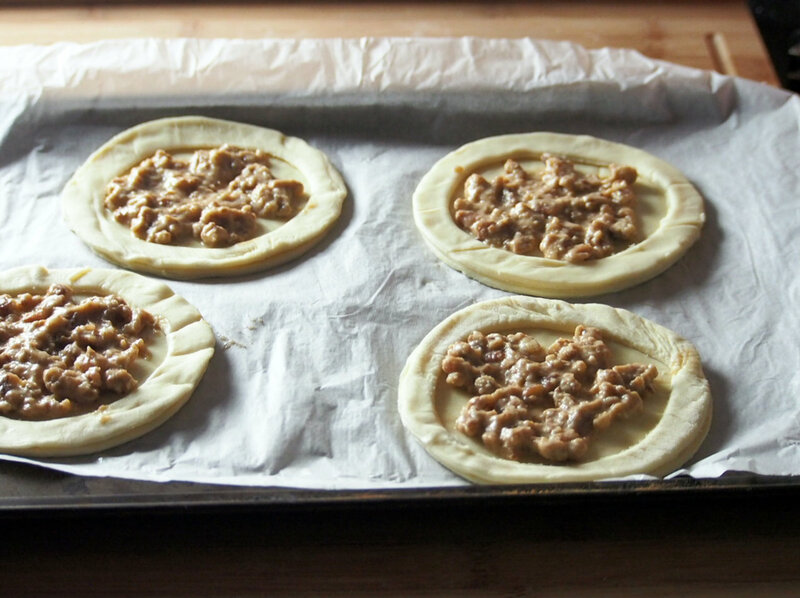 Spread the pecan mixture on top of the assembled puff pastry, using the cut rings as borders. Top with the apple slices. Bake them uncovered for 15 minutes. The pastry should be lightly golden. Recipe adapted from Best Ever Recipes by Wiley and Sons. I have a bunch of Granny Smiths I wasn’t sure what to do with. Thanks for the delicious idea!